These were Lemon cupcakes with homemade chocolate frosting. 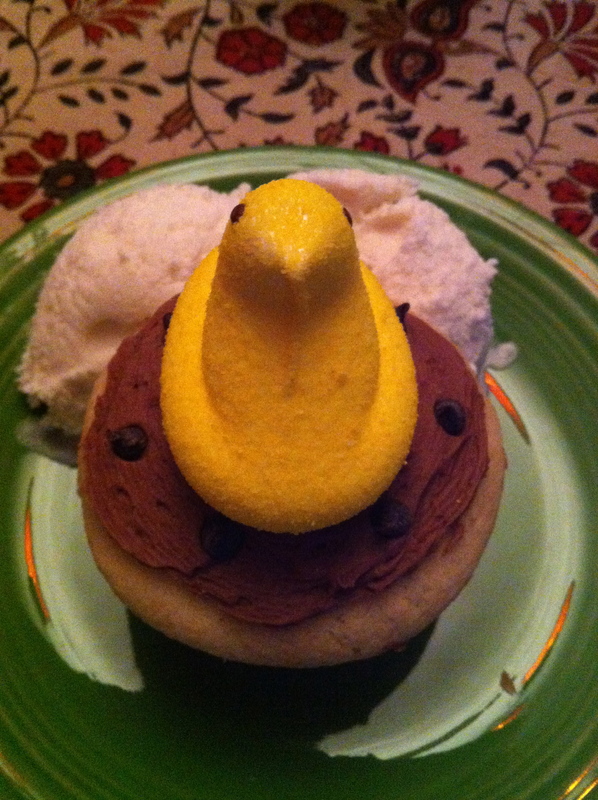 I loved the idea of the citrus and chocolate and the lemon with the yellow Peep. 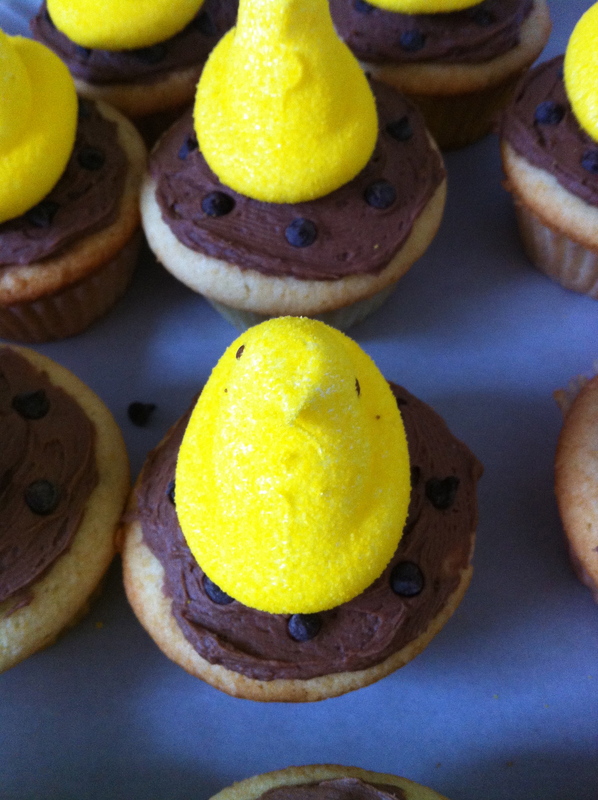 All you do is make any cupcake you are craving, ice it like normal and then, drumroll please….you stick the Peep on top. It totally stays! 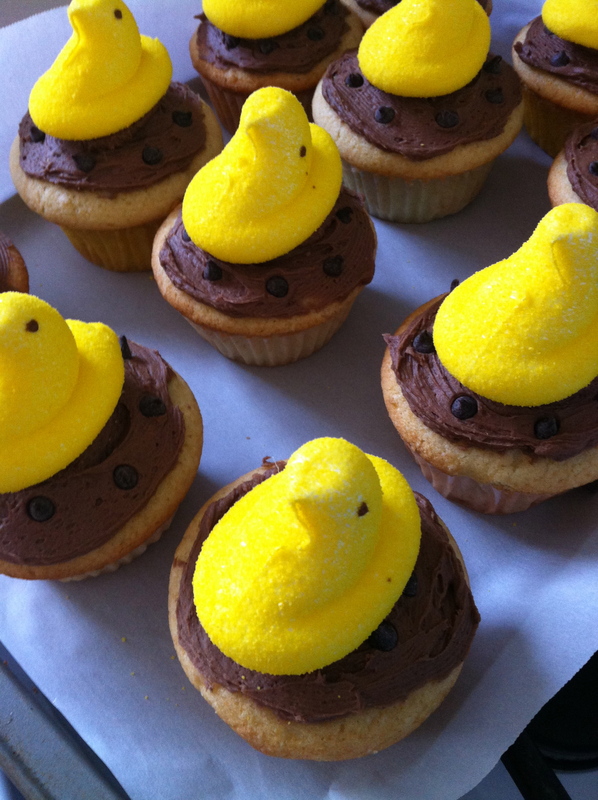 I call that Peep-tastic! 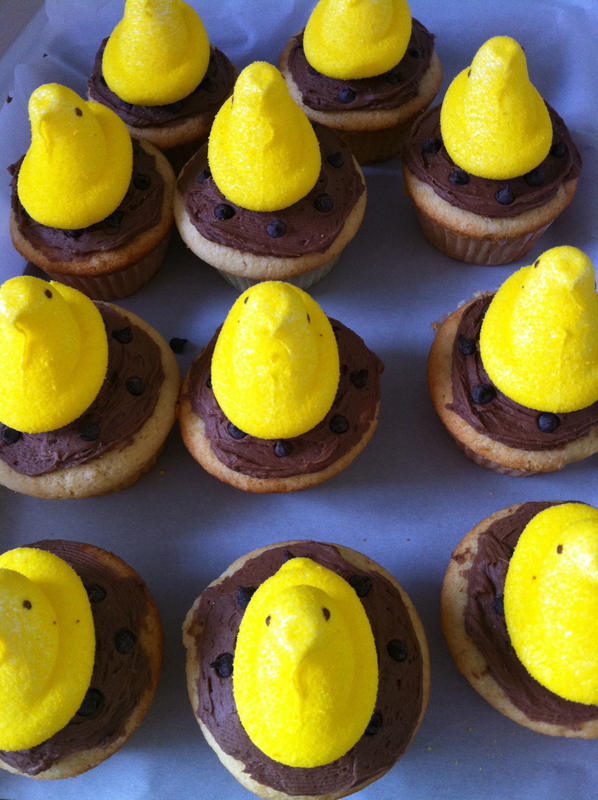 I did add little chocolate chips around the Peep to make a subtle nest, but you could go all out and add coconut shavings or other nest like edibles.